Clippers just don't get any tougher than the Turbo A5. These clippers offer faster blade speeds and wider blade sweeps, along with optimal airflow and low noise. They are virtually unbreakable and slide right through thick, coarse hair with ease. The detachable blade system also provides incredible vesatility. 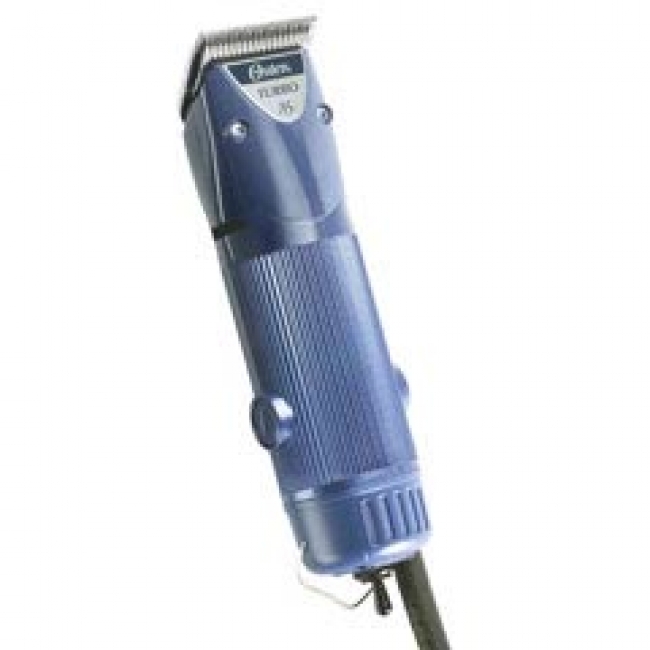 Heavy duty with 2 speeds for body clipping. Turbo powered for over 4,000 strokes per minute. Comes with durable carrying case and clipper oil.